The Ford Model A, also colloquially called the A-Model Ford or the A, and A-bone among rodders and customizers, was the second huge success for the Ford Motor Company, after its predecessor, the Model T. First produced on October 20, 1927, but not sold until December 2, it replaced the venerable Model T, which had been produced for 18 years. 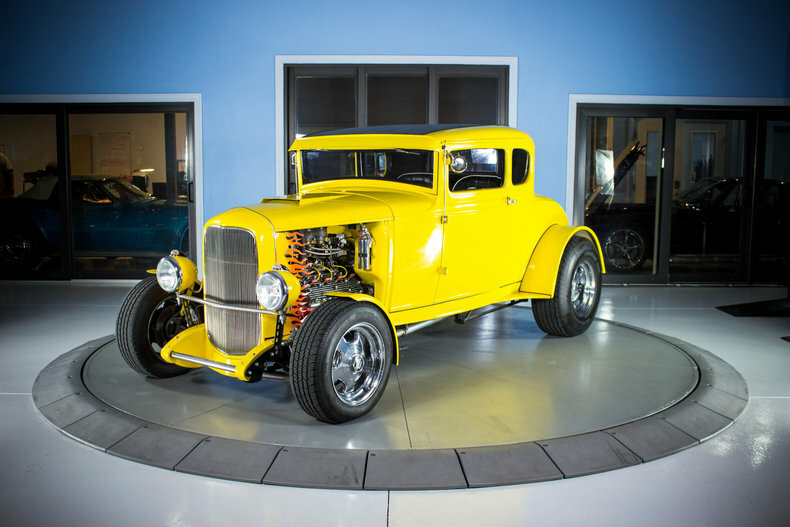 This new Model A was designated a 1928 model and was available in four standard colors. By 4 February 1929, one million Model As had been sold, and by 24 July, two million. The range of body styles ran from the Tudor at $500, in grey, green, or black, to the Town Car with a dual cowl at $1200. In March 1930, Model A sales hit three million, and there were nine body styles available. Prices for the Model A ranged from $385 for a roadster to $1400 for the top-of-the-line Town Car. The engine was a water-cooled L-head inline 4-cylinder with a displacement of 201 cu in. This engine provided 40 hp. Top speed was around 65 mph. The Model A had a 103.5 in wheelbase with a final drive ratio of 3.77:1. The transmission was a conventional 3-speed sliding gear manual unsynchronized unit with a single speed reverse. The Model A had 4-wheel mechanical drum brakes. The 1930 and 1931 models were available with stainless steel radiator cowling and headlamp housings. The Ford flathead V8, often called simply the Ford flathead, flathead Ford, or flatty when the context is implicit, such as in hot-rodding, is a V8 engine of the valve-in-block type designed by the Ford Motor Company and built by Ford and various licensees. 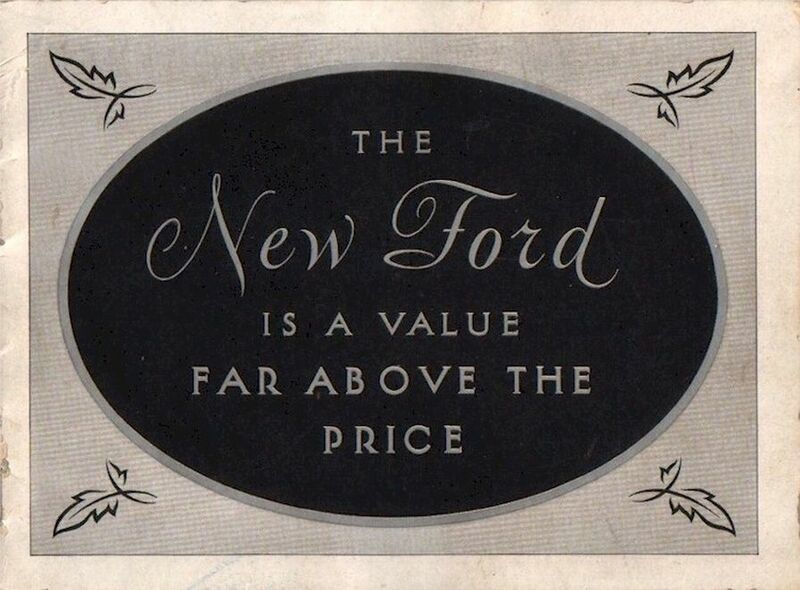 During the engine's first decade of production, when overhead-valve engines were rare, it was usually known simply as the Ford V‑8, and the first car model in which it was installed, the Model 18, was (and still is) often called simply the "Ford V‑8", after its new engine. Although the V8 configuration was not new when the Ford V8 was introduced in 1932, the latter was a market first in the respect that it made an 8-cylinder affordable and a V engine affordable to the emerging mass market consumer for the first time. It was the first independently designed and built V8 engine produced by Ford for mass production, and it ranks as one of the company's most important developments. A fascination with ever-more-powerful engines was perhaps the most salient aspect of the American car and truck market for a half century, from 1923 until 1973. The Ford flathead V8 was perfectly in tune with the cultural moment of its introduction, leading the way into a future of which the Ford company was a principal architect. Thus it became a phenomenal success. The engine design, with various changes but no major ones, was installed in Ford passenger cars and trucks until 1953, making the engine's 21-year production run for the U.S. consumer market longer than the 19-year run of the Ford Model T engine for that market. The engine was on Ward's list of the 10 best engines of the 20th century. 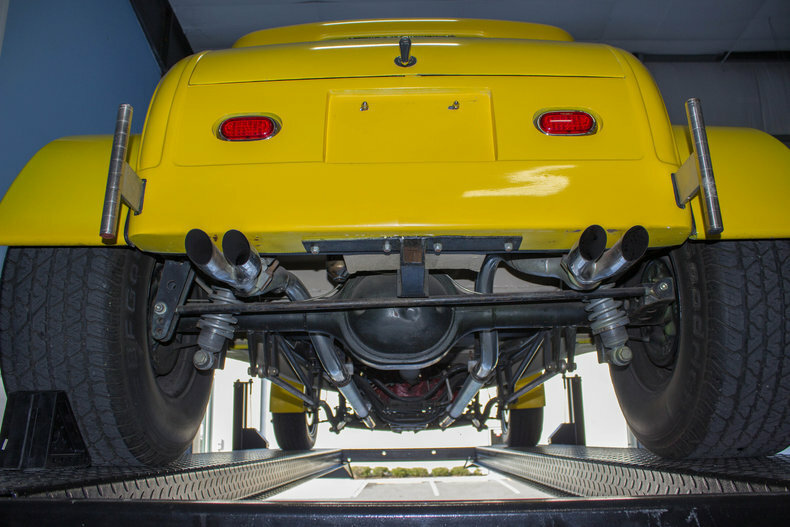 It was a staple of hot rodders in the 1950s, and it remains famous in the classic car hobbies even today, despite the huge variety of other popular V8s that followed. In the early 1950s, many hot-rodders could not afford to purchase and modify even a "cheap" flathead V-8, and a large investment in machine work and aftermarket parts was necessary to bring a Ford flathead V-8 to the performance levels of most stock OHV V-8s available at the time. 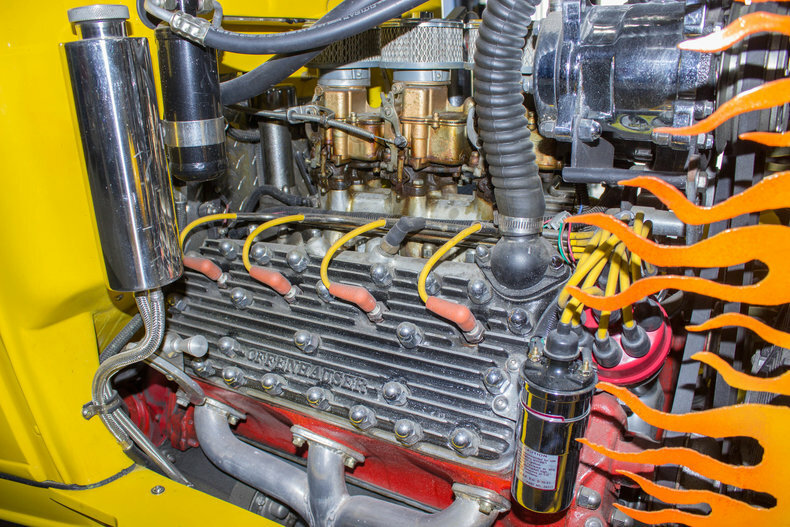 Even many inline six-cylinder engines from that period could be modified to produce more reliable and practical power than Ford V-8s, as the Ford flathead V-8 is saddled with many design features that make modifying it for true high-performance use difficult and expensive compared with other V-8s. As modern OHV V-8s became available and affordable in salvage yards, the Ford flathead V-8 rapidly disappeared from the hot-rodding scene. Hot-rodding in general moved away from the salvage-yard car builds as parts and labor became more expensive and many hot-rod shops priced themselves out of business. The modern OHV V-8 powered vehicles available also contributed to the demise of hot-rodding's original culture (affordable modifications by working-class car owners), as new factory cars became capable of much higher performance than most hot-rods. Today the flat-head Ford is mainly used in "retro" hot-rod builds by builders more interested in a retro vibe and recreating history than performance. 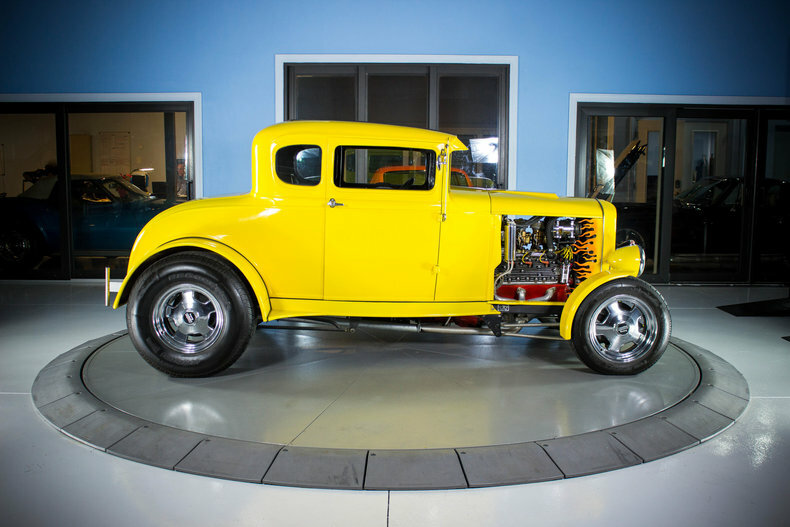 Even 4-cylinder Ford engines are used to make a retro hot-rod "correct". Ford flatheads are still hot rodded today, with a special land speed record class for flathead engines. The current record holder achieves 700 hp and 300 mph. On one pass the car broke 300 mph but did not set a record. Two passes have to be made in order to break the record.